With More Clarity & Less Confusion! A strategy unique to YOU and YOUR business... unique to YOU and YOUR customers! A strategy to ensure the value of your product or service stands head and shoulders above your competitors'... there's absolutely no missing it! A strategy that implements profitable copy and decision brain-science to craft a marketing message SO compelling and SO attractive to potential customers... you'll wonder why you never did this before! 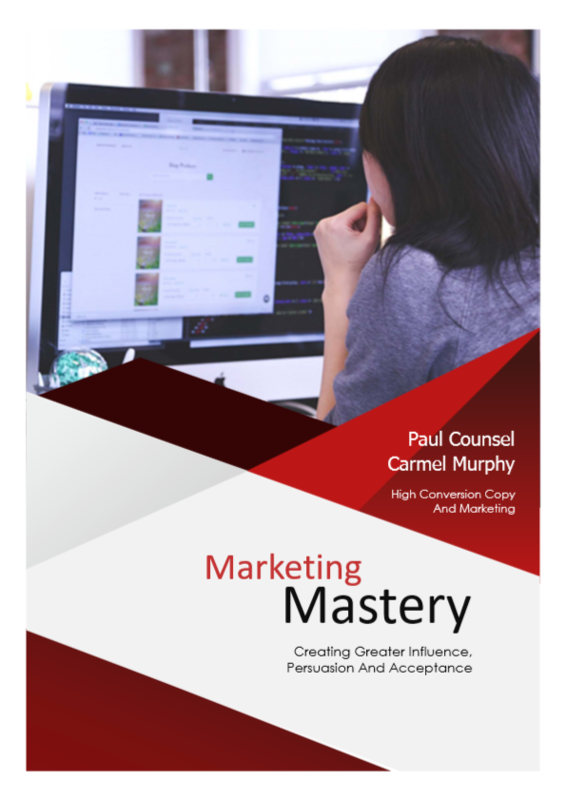 Read 'Marketing Mastery' if you're ready to grow a LUCRATIVE business you love... and others want to buy from! Enter your best details below and I'll send it to you!